SNAFU! : SAIC/ST Kinetics Terrex 2 ACV highlighted on Breaking Defense. SAIC/ST Kinetics Terrex 2 ACV highlighted on Breaking Defense. 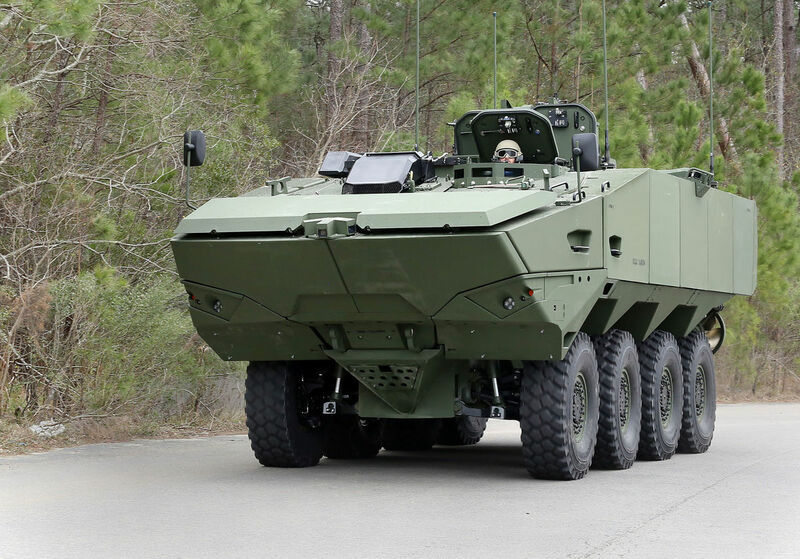 Breaking Defense has a "how it came to be" story on the Terrex 2 ACV and why SAIC teamed with ST Kinetics to offer it to the Marine Corps. While I'm truly conflicted on which vehicle is best (swim test will be the deciding factor I believe...I wonder why BAE has gone dark when it comes to talking about the SuperAV?) I truly think we're at a point where we can't go wrong in the pick. What still irks is how long it's taking to get this off the shelf vehicle into production (yeah...I know off the shelf is a talking point and not reality especially when it comes to the Terrex 2, but you get what I mean). Regardless, its a neat little article and worth a few minutes of your time.